Amazon.com is Going into Book Publishing. Is the Sky Falling? There was a somewhat alarmist article in The New York Times today by David Streitfeld about how Amazon.com is going into commercial publishing, signing up authors, and cutting traditional publishers and agents out of the deal. I’ve been getting a lot of emails about this from authors and book lovers asking either: 1)whether this is the end of literary culture as we know it? or 2) how do I get an Amazon contract? Let’s back up. A lot of people in the book business hate Amazon. Publishers won’t say this out loud since Amazon is their biggest customer. But they will tell you this privately. They feel that the company has become too big and wields too much power in irresponsible ways. Usually what this means is that publishers resent the fact that Amazon charges a lot of extra money to “promote” their books. You probably have seen all those books flashing at the bottom of the page. It usually says something like “people who bought this book also bought…”. All of this costs money. If a publisher chooses not to join Amazon’s promotional programs, their books will continue to be available on the Amazon site but will be invisible. To be perfectly fair publishers for years have been paying money to get books prominently placed in stores. Being on the front tables doesn’t come free. But apparently Amazon’s baksheesh is particularly costly. Streitfeld’s article addresses only one of several publishing programs that have been created by Amazon. For sometime now Amazon has been offering print on demand and e-book publishing. These are essentially self-publishing platforms. 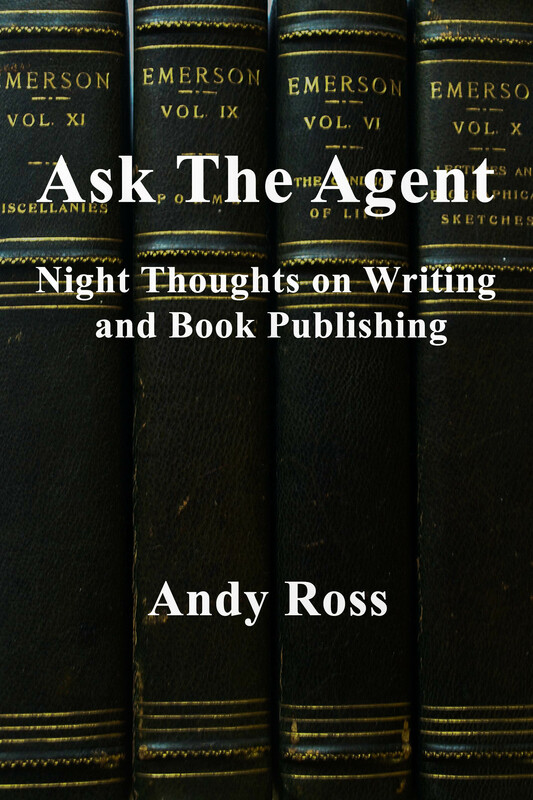 A lot of writers who could not get published by the New York houses have availed themselves of these services. Amazon also started a small commercial publishing venture called Encore Editions. The Encore books are not big titles and Amazon doesn’t pay advances but it is a step up from self-publishing. These programs are not what Streitfeld is addressing. Rather, Amazon has made a big splash by opening up a New York office and aggressively going after big name commercial authors and paying them lots of money. Publishers are not happy about this for a lot of reasons, but mostly not because they believe that this is the next step in making publishers obsolete. And I don’t think this is going to happen anyway, regardless of what The New York Times says. Of course, if Amazon offered me an $800,000 advance for my book, I’d think long and hard and then probably sign on the dotted line. But there are some compelling reasons why this may not be such a good deal. 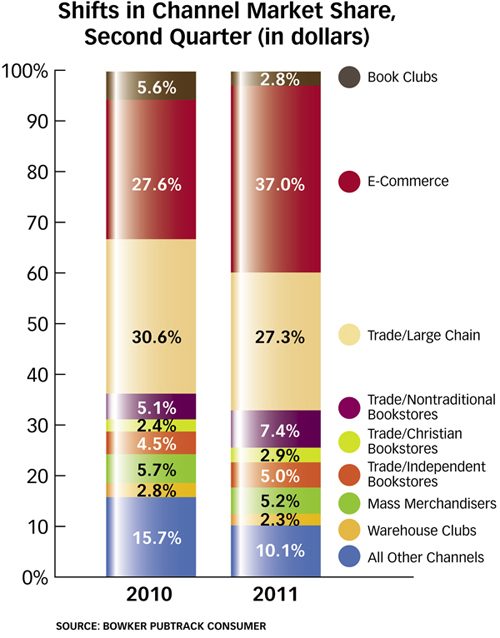 In spite of the endless buzz we hear about books on Amazon and Kindle editions, Amazon’s market share of trade books is about 30%. That’s pretty impressive and it’s growing. But it isn’t that much more than Barnes and Noble. If Amazon is not popular with publishers, they are positively loathed by bookstores. This is going to have some dramatic consequences when Amazon wants to distribute their published titles at venues other than Amazon. 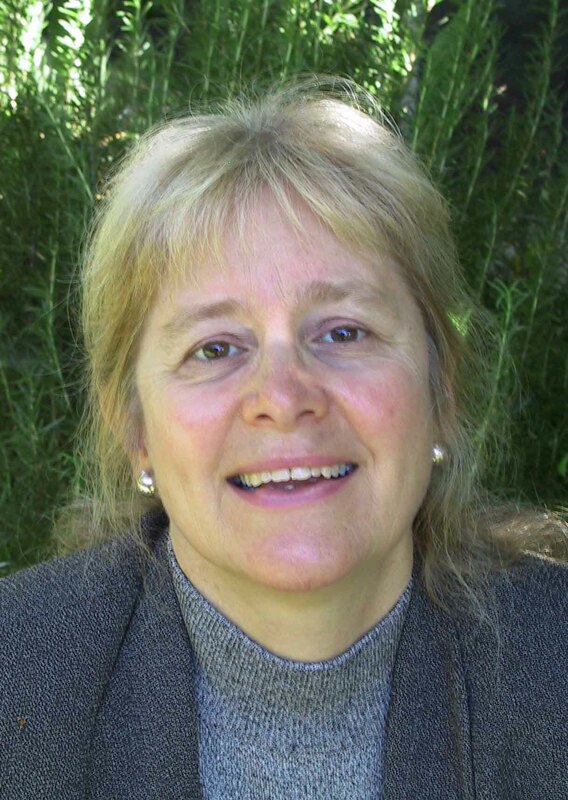 Independent bookstores will not carry the titles, period! Barnes and Noble probably will under their own conditions that Amazon may or may not agree to. And the books B&N does carry will likely not get very prominent promotion. Amazon is hiring some pretty good editorial talent in New York. It seems to be making publishers nervous. But Amazon’s program is relatively small and is focused on some very big and very commercial titles. So it is not likely to bring down the great New York publishing empires yet. There has been a lot of talk in publishing about how the “old publishing paradigm” is dead and how “legacy publishers” are standing in the way of a vibrant literary culture. Amazon has certainly fueled these fires by articulating a concept that no one should stand between the author and the reader. It is a nice thought, even if it is coming from the largest entity that really is standing between the author and the reader. But if you look at the millions of books that are being self published now, you will have to agree that a lot of them aren’t very good. If there is no filtering apparatus, if everyone can be a publisher, then it becomes very difficult for the reader to make intelligent and meaningful choices. We have written about this phenomenon, “the paradox of choice”, in a previous blog. And when the buyers are flummoxed by too much choice, they tend to focus on a very narrow range of titles. That’s the paradox. And so returning to the title of this blog post, in my humble opinion, the sky isn’t falling. There is a very interesting and thoughtful article in the Chronicle for Higher Education by Robert Darnton, the university librarian at Harvard University. Darnton is something of a contrarian on matters relating to digital-mania in the world of books and culture. I like what he has to say. Here is a short version of his myths. But check out the complete article. 1. “The book is dead.” Wrong. 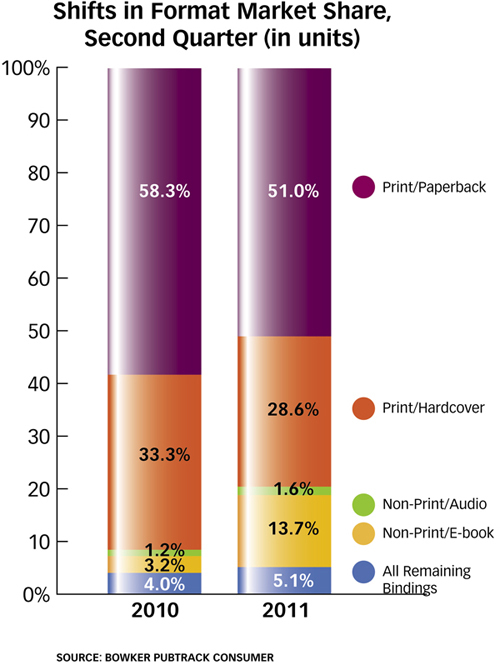 More books are produced in print each year than in the previous year. 2. “We have entered the information age.” … every age is an age of information, each in its own way and according to the media available at the time…. No one would deny that the modes of communication are changing rapidly, perhaps as rapidly as in Gutenberg’s day, but it is misleading to construe that change as unprecedented. 4. “Libraries are obsolete.” Everywhere in the country librarians report that they have never had so many patrons. The libraries supply books, videos, and other materi­al as always, but they also are fulfilling new functions: access to information for small businesses, help with homework and afterschool activities for children, and employment information for jobs… Librarians are responding to the needs of their patrons in many new ways, notably by guiding them through the wilderness of cyberspace to relevant and reliable digital material. …While continuing to provide books in the future, they will function as nerve centers for communicating digitized information at the neighborhood level as well as on college campuses. 5. The future is digital.” True enough, but misleading. In 10, 20, or 50 years, the information environment will be overwhelmingly digital, but the prevalence of electronic communication does not mean that printed material will cease to be important. Research in the relatively new discipline of book history has demonstrated that new modes of communication do not displace old ones, at least not in the short run. Manuscript publishing actually expanded after Gutenberg and continued to thrive for the next three centuries. Radio did not destroy the newspaper; television did not kill radio; and the Internet did not make TV extinct. In each case, the information environment became richer and more complex. That is what we are experiencing in this crucial phase of transition to a dominantly digital ecology. Darnton goes on to talk about the ways that the activity of reading is changing in the electronic age. He’s an informed and realistic optimist. We could use a little more of that right now, when so many people (myself included) have been saying that the sky is falling.